One of the systems experiencing the most significant change is Lantek Expert, which now includes a 64-bit version and significant innovations in automatic nesting. The 64-bit version enables higher performance in the nesting and sheet metal cutting module and achieves greater security by preventing the execution of malicious code. New options in milling applications with the support of more tool types and different material entry strategies. The Lantek Flex 3d Tubes solution is also undergoing a major change in 2017. The main update is focused on the 2D geometry editing module, which is now much more powerful and easier to use without the need to launch an external program. New operations for defining joints between tubes have also been added. In this way, Lantek customers can complete jobs with kits and can export tube structures by defining different types of joints between parts, streamlining manufacturing and facilitating assembly. This is unquestionably great news that will simplify the work of pipe manufacturers. The effect of continuous innovation by the Lantek team is evident in Lantek Integra, especially in all aspects of quote preparation. The 2017 version allows technical and commercial teams to be involved in the preparation of quotes through task based communication between them. 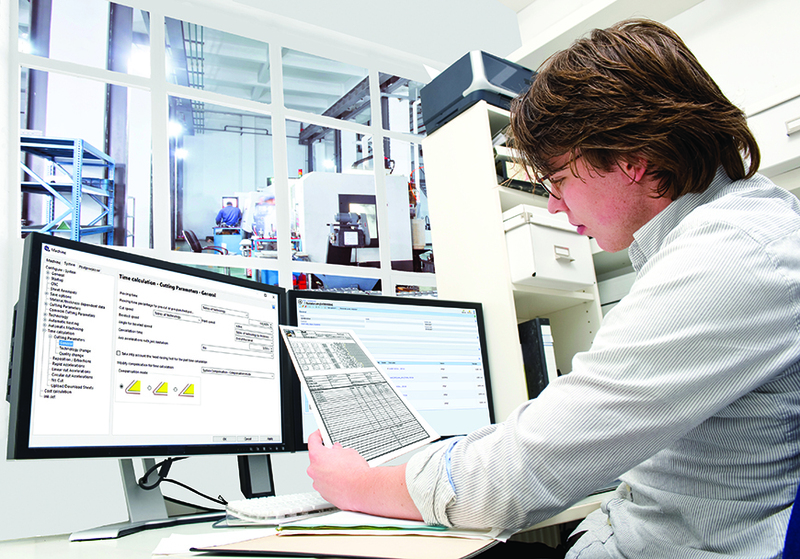 With Lantek Integra, it is possible to develop quotes from both Lantek Integra and Lantek Manager and to assign the complete manufacturing path to the parts, including the noncutting operations. Moreover, when generating the sales quote, notifications can be sent to the sales manager as soon as it is created or modified. When generating quotes, it is now possible to set the price of material as provided by the customer and deduct it. It is also possible to duplicate both charges and the rules established when configuring the charges. Furthermore, the lines of a quote, order, delivery note, or invoice can be organized using special re-numbering tools. Production management and warehouse management are now integrated in one system allowing the user to manage both tasks simultaneously. The Lantek Workshop software suite has been optimized to record and validate 2D cutting process and operation times. Users can now record the completion of cutting operations without needing real-time control, dividing the nesting validation process into two steps: cutting and ‘de-nest’, in order to differentiate the actual cutting time and the time spent taking the parts from the sheet. Finally, Lantek has also perfected Lantek WorkshopCaptureenabling an operator to validate and record non-cutting operations in the workshop. Lantek customers can now record the completion of operations without having real-time control and they can edit data by simply reading the bar code to see the employee, the workstation, and the operations to be validated. 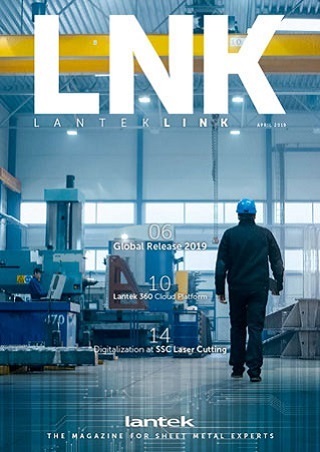 This new version of Lantek’s software solution will help the digital transformation of companies to become a reality and it will ensure that Lantek continues to be a benchmark in Industry 4.0, supplying services and solutions with higher added value. To find more information about Lantek’s Global Release 2017, go to here. Its capacity for innovation and its firm commitment to internationalization and emerging markets have led Lantek, founded in 1986 in the Basque Country and with central offices in Vitoria-Gasteiz (Alava), to devise a global-local strategy, which has meant it has become a global reference within the industry with its CAD/CAM/MES/ERP solutions. Today, the company has over 19,000 customers in over 100 countries and its own offices in 15 countries, in addition to an extensive network of distributors that are present throughout the world. In 2016 its international operations provided 85% of its turnover.